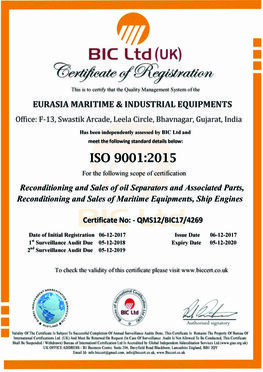 EURASIA MARITIME & INDUSTRIAL EQUIPMENT'S is one of the leading stockiest supplier & exporter of reusable/used/second hand ship - Industrial machinery & spares. We offer a wide range of services to customers within the maritime, offshore and industrial sectors. We do optimal sourcing from Alang, the largest ship-breaking yard in the world. Our products ranging from Main Engine , Auxiliary Engines, Oil separators,Turbochargers, marine pumps, compressors, safety equipment’s. We provide all kinds of genuine Ship Spares, Marine Parts & Equipment’s and consumables at very competitive prices. Direct buying from primary source of reusable parts, fully equipped workshop for through inspection to meet quality requirements and experienced team of engineers provide reliable quality parts at low cost. We are proud to be one of the leading providers of marine equipment for the World's famous Shipowners and Ship Management companies. 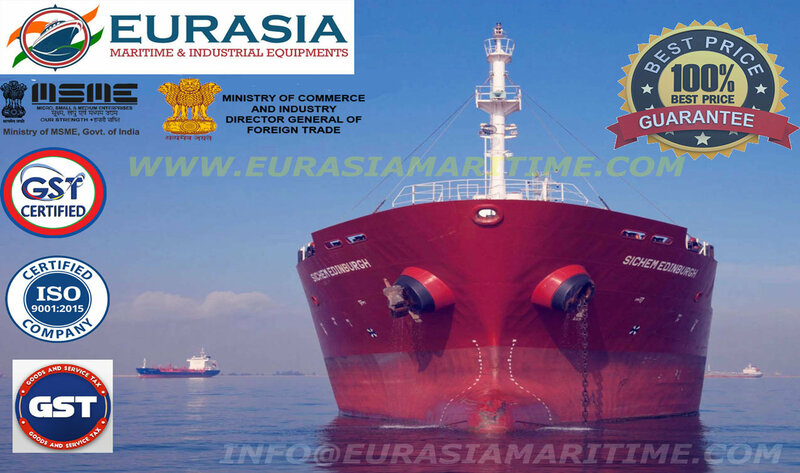 "We are committed to provide Genuine Ship Machinery-spares at Economical prices with Quick Delivery, Excellent After-Sales Services & will do anything to honor its commitments..."
WHY EURASIA MARITIME & INDUSTRIAL EQUIPMENT?? 3. Deck and Crane Hydraulic motors and Pumps. 4. Marine Air Compressors and Heat Exchanger's. 8. Mitsubishi Kakoki and Mitsubishi Samgong oil Purifier and spares. © Disclaimer : All trademarks, product names or brand names mentioned on this website are for reference purpose only and are registered property of their respective owners and/or original equipment manufacturers.